Here you go. Real life is intruding again, and I need to travel to Arizona (HOT!) and Illinois (not so bad) later this week, so probably no posts for a couple weeks. Catch up on the archives, some real good stuff back there. Lucien Zabuski, also known as ZABU, was the original singer for Magma, before they made their first recording, and on his first solo album all his Magma buddies were on hand, including Christian Vander on a few tracks. 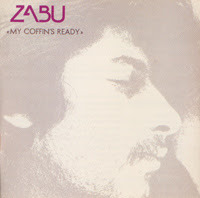 The music, though, is not Zeuhl, it sounds more like a lite version of Captain Beefheart, kind of an eccentric bluesy psych. Great vocals and the playing is brilliant by all - these were after all the best rock musicians in France! I scanned the booklet which has a neat history of all Christian Vander's groups. Don't have enough love in your life? Well don't look at me! Download this bootleg. This is one of those boots that might be for fanatics only - I mean who needs to hear 7 piss-takes of the same song? On the other hand this is a cool glimpse of a band at work in the studio, and there are some real gems for fans on this. 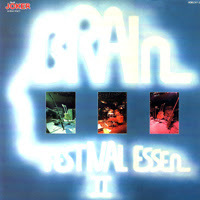 A month ago I posted the Brain Festival album from 1977, and this is the same deal - a first-class vinyl rip of a double album, featuring live performances by artists on Germany's Brain label. 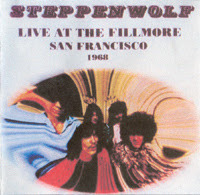 Great soundboard recording of Steppenwolf at the Fillmore West in August of 1968, on tour to support the release of their first album. "Born To Be Wild" was probably all over the airwaves about this time. Hard to imagine why Decca never released this, maybe a double live album was too much or something. 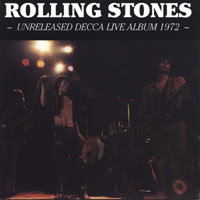 Recorded at various venues in 1972, the Stones deliver inspired versions of their best songs of the period, some great tunes on here. 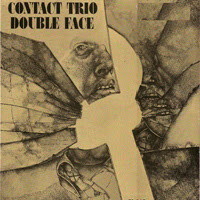 Great experimental/jazz fusion from this German group. If you liked that Prosper "Broken Door" album I posted a few months back, you might like this also, as excellent guitarist Evert Brettschneider played in both bands. Thanks a lot for the Love rarities album !!! 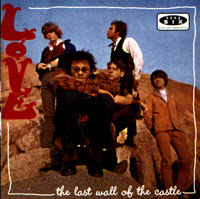 If you can find the Love "Reel to Real" lp from 75 and the Arthur Lee solo lp from Rhino in 1981 (or any rare live recordings...) You'll be the Love Master ! Great stuff this week! I nearly posted the Decca Live album myself over at the Heat Warps, but I'm happy to see you've brought it out into the light over here. Lovin' the Love! Save travels. Don't forget the sunscreen. Hey. I found you again!!!! So late, but doesn't matter. Nice to see your blog again. Very good posts as usual. Your blog is amazing! You seemed to have been hacked last month, so I'm glad to discover the riches of your archive now (especially the more trance-like Krautrock). Just found your blog, loving all of it. And i understood you didn't like to get your blog promoted on totally fuzzy. But now you're posting your updates there yourself ... ??? are you still you? Arizona's hot like your hot weblog & I love them both...Many thanks for the new rarities. Wish You the best anywhere You are! Hi Sadness - You're welcome! Hi gongmaison - You're welcome too! Hi progfreak - I do have Gate 'Live' from 1977, I'll try to remember to post it next week, after tomorrow's post. Hi JR HeatWarp - thanks for commenting - actually Arizona was only a few degrees hotter than it was here at home, not that bad. Of course I wasn't laying asphalt or anything! Hi alfrocker - Welcome back! Hi Julie - Yeah parts of Arizona are just like that, lotsa cactus. I drove right near the Grand Canyon on the way back, that part of the US is pretty amazing. I also drove through Zion National Park in Utah, which was awe-inspiring. Hi Dr. Schluss - Thanks - what do you mean, my blog was hacked? Everything seems OK at this end! Hi Jericho - Glad you like the blog & happy downloading! Thanks for checking in. Hi anonymous - yep, I'm still me! Hi anonymous - Yeah, I named the blog after it! I posted it @320 w/covers a long time ago. Hi Behnam - nice to hear from you, thanks. Hi anonymous - Have fun dude! Many thanks Garcolga for this Jefferson Airplane,Can and SFF albums! just want to say a big thank you for all your excellent work. I especially enjoy the Jefferson Airplane live sounds - it's always nice to hear some great westcoast rock of ol' times. I visited the states this march and also was hiking in the Zion Nat. Park. It was nice, but what really blew my mind was the Bryce Canyon Nat. Park. Just amazing - fantastic. Thanks for the Love - I can't get enough.